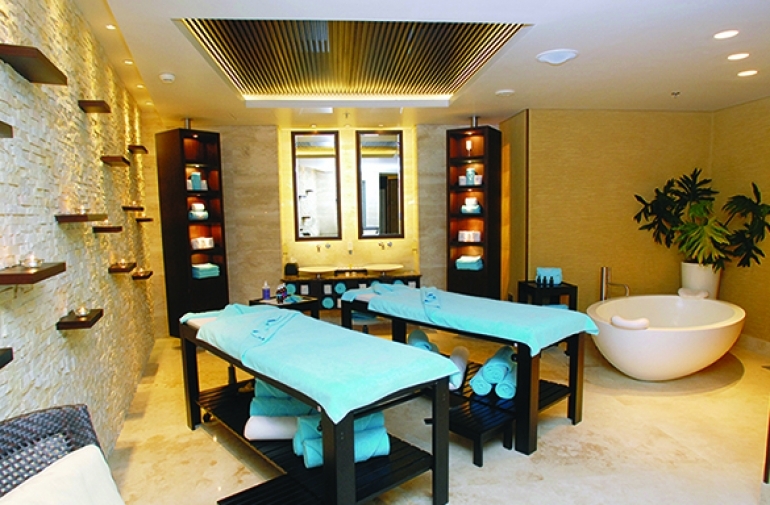 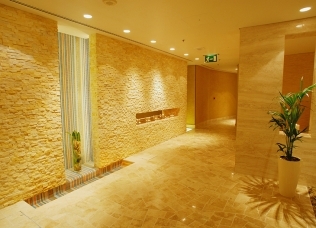 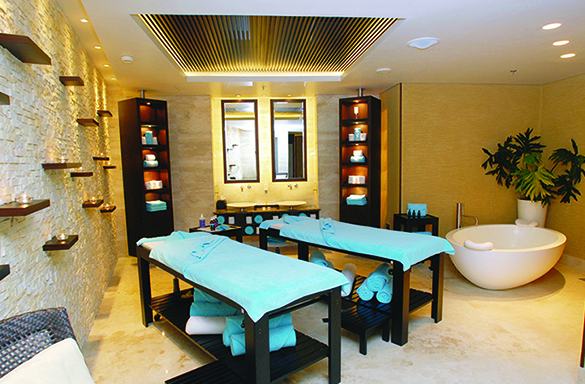 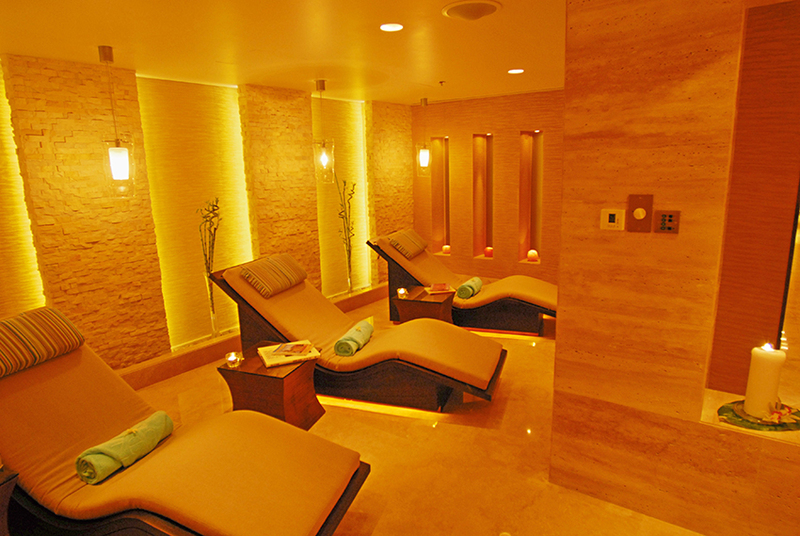 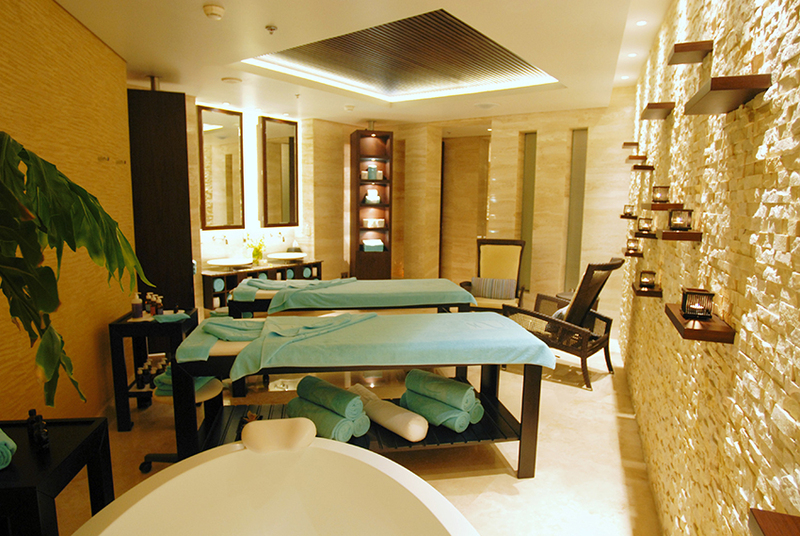 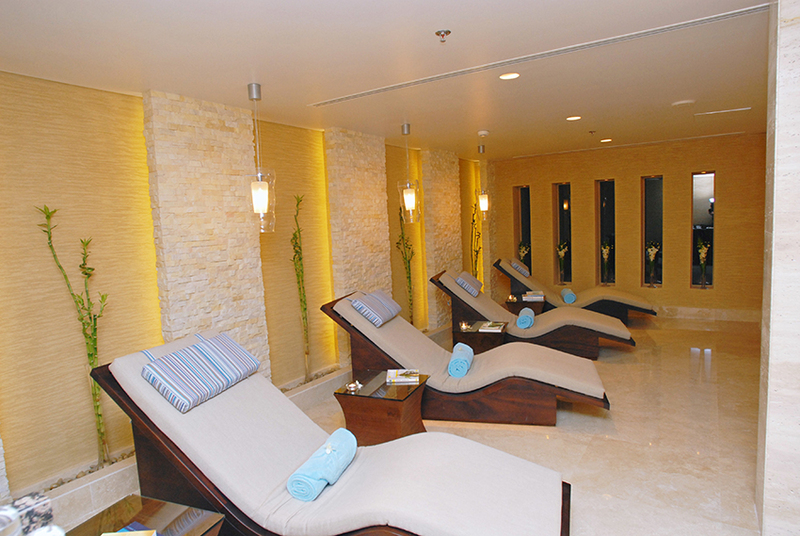 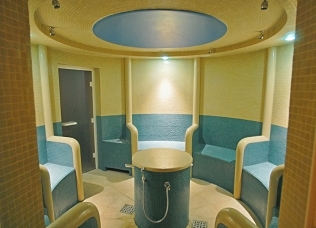 Zen Spa comprises 10 treatment rooms, two tranquility suites and relaxation areas all covered with natural stone cladding merged with walnut wood along with the beauty of multicolor mosaic that, combined, create a tranquil setting. 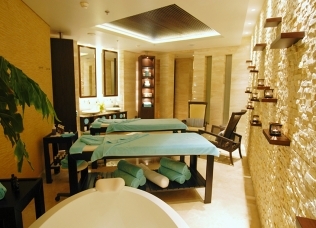 The concept of Zen Spa is derived from the holistic Asian philosophies of calm and serenity with an added contemporary twist. The Zen inspired treatment rooms have been designed with a minimalist touch and feature high contrast dark wood juxtaposed with soothing warm cream textured backdrops and calming light washes from hidden sources. 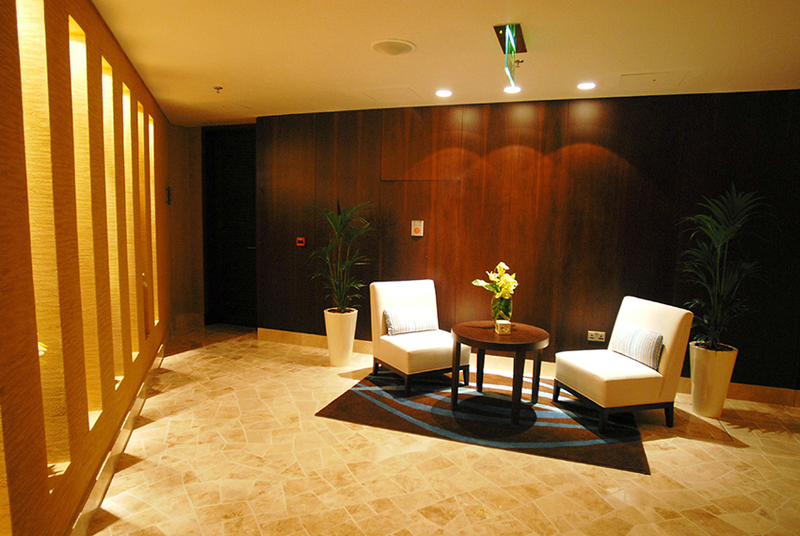 Taking reference from Japanese Zen gardens, bamboo plants feature in alcoves to add a harmonious natural element.